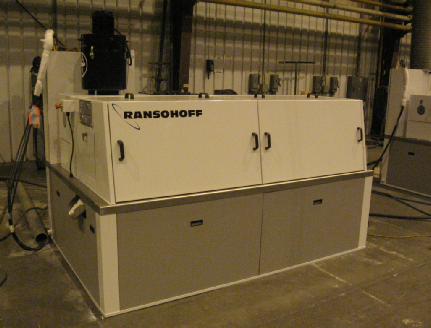 Ransohoff rotary drum washers are ruggedly constructed parts washers th at provide a lifetime of reliable service in the harshest industrial environments. We have drum washers in the field that continue to operate at full capacity after more than fifty years of service. Utilizing both, spray and immersion technology, our drum washers are effectively used in industries ranging from remanufactured automotive parts to final cleaning for ammunition shells and bullets. 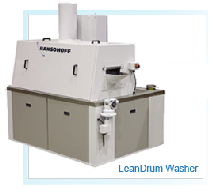 Aside from cleaning, these drums can also be used to process polishing and surface finishing media along with your parts. 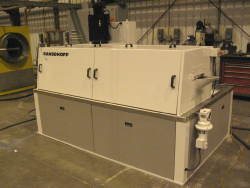 Whether your needs are for a continuous, batch, burnishing, cob or me dia operation, Ransohoff has the experience to provide the drum washer to meet your specifications.